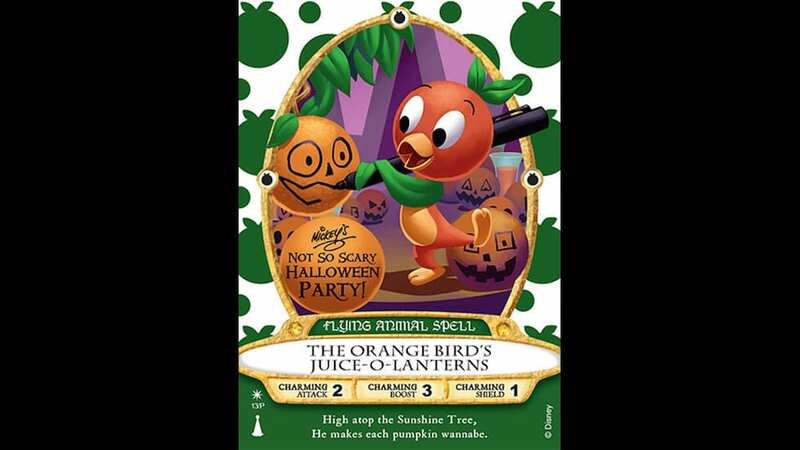 For the storyline behind the card, Orange Bird was taking a stroll through Adventureland when he met Merlin. Merlin was so enchanted by the citrus-y fellow that he created a brand new Sorcerers card in his honor. If you aren’t familiar with Sorcerers of the Magic Kingdom, it’s an in-park interactive card-based game where guests can aid Merlin in stopping the Disney Villains from taking over the Magic Kingdom. Guests will search for magic portals located throughout the park, and use their spell cards to stop the villains in their tracks. The journey begins at the Firehouse on Main Street, U.S.A., where guests can pick up their first deck and learn how to play the game. This special event card will be distributed separately, and in addition to the regular Sorcerers cards that guests are given at the Firehouse. Guests must register to play the game with their party ticket and event wristband in order to get one. For more details on this year’s event, and to purchase tickets, visit DisneyWorld.com/Halloween.